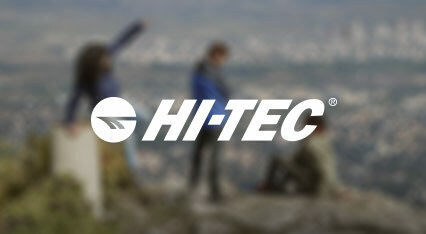 Get 20% off all orders at Hi-Tec with this exclusive voucher code discount. This exclusive discount is available for all TroopScout users: serving members, ex-forces, family and friends. 1. Click ‘Get Code’ to get the voucher code and open the Hi-Tec website. 2. Add the voucher code under ´View Basket´ before you checkout to claim your discount. 3. Enjoy your savings and new shoes! Hi-Tec are a well known sportswear brand who are famous for their quality footwear. They also sell a range of apparel and accessories for women, men and kids. The Hi-Tec footwear range includes categories such as: Hiking/Walking Shoes & Boots, Multi-Sport Shoes, Sports Trainers & Shoes, Casual Shoes, Sandals and Closed Toe Sandals, Winter and Snow Boots. With Free delivery on orders over £40 and a 30 day comfort guarantee you are sure to make the right choice with Hi-Tec. Offer excludes sale items. Discount code must be entered on the basket page before proceeding to checkout. Cannot be used in conjunction with any other discount, promotion or cashback offer. Hi-Tec Europe Ltd reserves the right to withdraw this offer at any time.